An early morning breakfast will do before proceeding for tracking of the noisy chimps and other primates crashing through the high canopy of the Kibale tropical rain forest. Watching the colourful birds squawking in through the tropical forest canopy. Have packed lunch and then take an afternoon nature walk through the Bigodi swamp to wetland birds as well as some of the projects run by local community. Retire in the evening, Dinner and Overnight. After breakfast drive to Queen Elizabeth National Park. Remember the game seen will depend on the season. Visit the local community salt works at Lake Katwe, a salty lake in Uganda. Get to know more about this salty lake and testing the waters of this lake is a wonderful experience for those who have never tasted salty waters. Have lunch and later go for an afternoon game drive. Retire in the evening, dinner and overnight: Mweya/Jacana (FB). 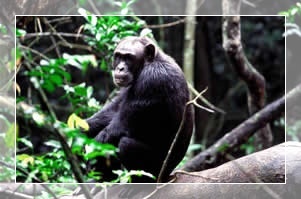 After breakfast take an excursion to the Kyambura gorge nearby to track the fast moving and elusive chimpanzees. Chimpanzees are one of man's closest relations and therefore seeing them is a wonderful adventure. 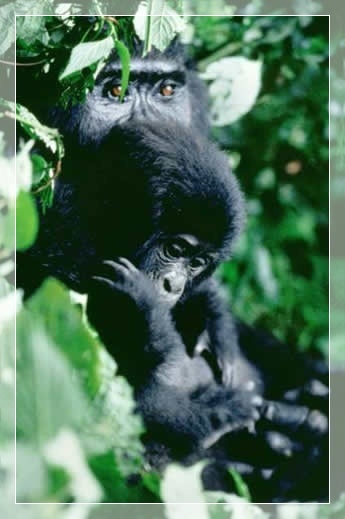 Alternatively go for a nature walk in the Maramagambo Forest to see different tree species, primates, the bat colony and the blue lake. After lunch take alaunch cruise on the Kazinga Channel where different animals such as hippos, elephants, buffaloes, and an array of water birds can be seen. 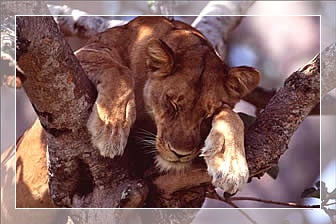 Go on the hunt for the tree-climbing lions lounging on old fig trees in the Ishasha region. Dinner and Overnight at Jacana/ Ishasha Wilderness Camp /Ishasha Bandas. 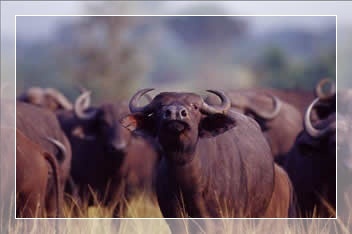 Early in the morning, depart for Kampala passing you through the ever green and beautiful countryside of Western Uganda. En route lunch and arrive in Kampala late afternoon.